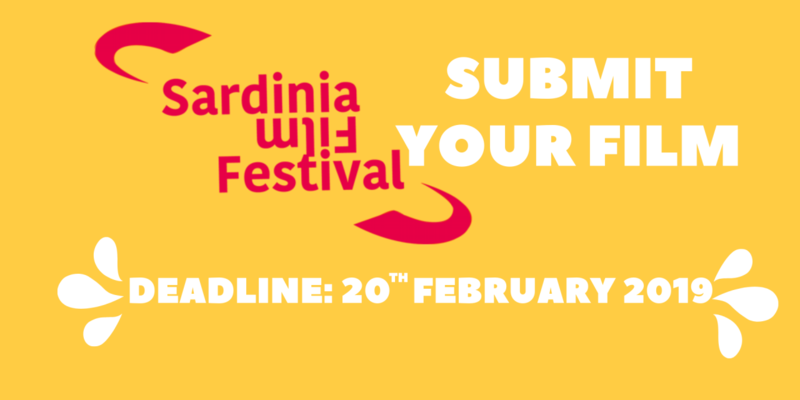 The countdown to Sardinia Film Festival, 14th edition has begun and the first step has been taken to get into the red carpet spirit: the call for entries is now open for SFF 2019, which will run between June and July 2019. SFF is created and organised by Sassari Cineclub in partnership with Public and Private Authorities. Sardiniafilmfestival adheres to AFIC (Italian Cinema Festival Association) and it’s one of the Italian festivals eligible for the pre-selection of the shortfilms for Nastri d’Argento by the SNGCI (Italian National Syndicate of Film Journalists). Whoever can submit his works for free, also with more than one film to any section in competition. Films already submitted to previous SFF editions are not accepted, even in a new version. Here are all the sections in which it is possible to compete for the 14th edition of Sardinia Film Festival. Domestic sections: Fiction, Documentary, Animation, Experimental, Videoart, Scuola (sotto 18 anni), Scuola (sopra 18 anni), Ritorno alla terra, Vetrina Italia,Vetrina Sardegna. International Sections: Fiction, Documentary, Animation, Experimental, Videoart, School (under 18), School (over 18), Back to the Land. A commission nominated by Sassari Cineclub will select the works to screen to the public and those that will enter the final phase. During the days of Sardinia Film Festival all the pre-selected works will be evaluated by the official juries who will award a prize for each category. The International jury, made up of international cinema world exponents, prizes the National Fiction, International Fiction, School Over 18, Vetrina Sardegna and International Documentary works; the Academy of Fine Arts Students jury, composed of students chosen from Cinematography class and Documentary photography class, evaluates the works of Videoart and Experimental sections, the Technical Animation jury, made up of professional animators, prizes the winner of Animation section and Italian Documentary jury awards the prize for the Best Italian Doc. Besides, the Special Juries will attend SFF 2019. They are unofficial juries who assign the special mentions to the films considered the best. The Sardinia Film Festival Special Juries are: Restricted jury, which consists of some inmates of Bancali jail, and Cineclub Diaries jury, (independent journal about culture and cinema) made up of members of the editorial staff who will attend the Festival.